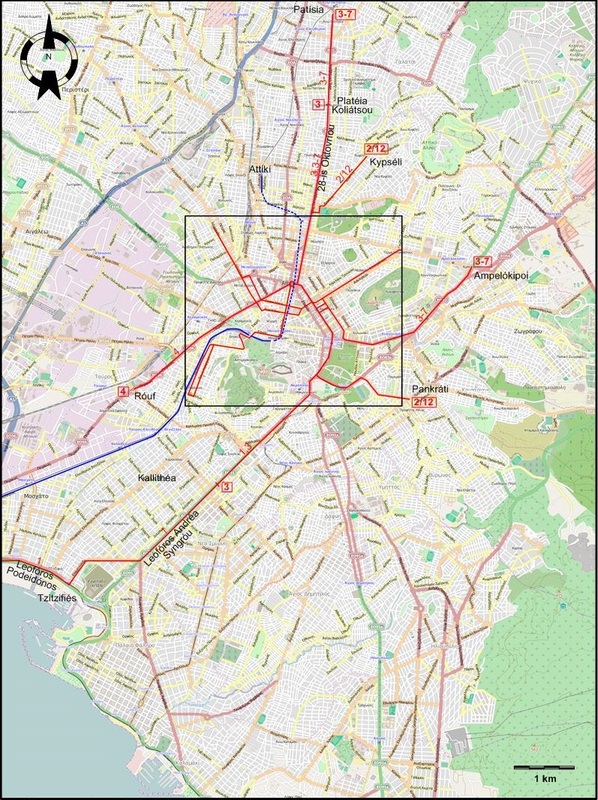 The postwar network, after significant reductions in tram track length and an extension of the rapid transit line. 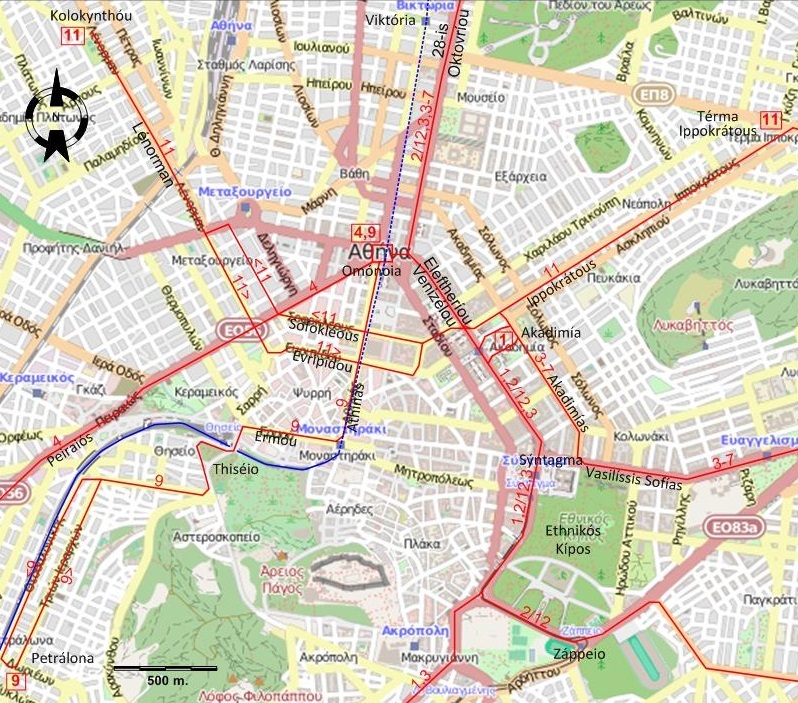 Note (1): Names of streets, squares etc. used below and on the maps are as they are today. Note (2): Transliteration of Greek text into the Latin alphabet follows the ISO 843, 1997 TR standard. City trams (second-generation): 19 July 2004 - today. 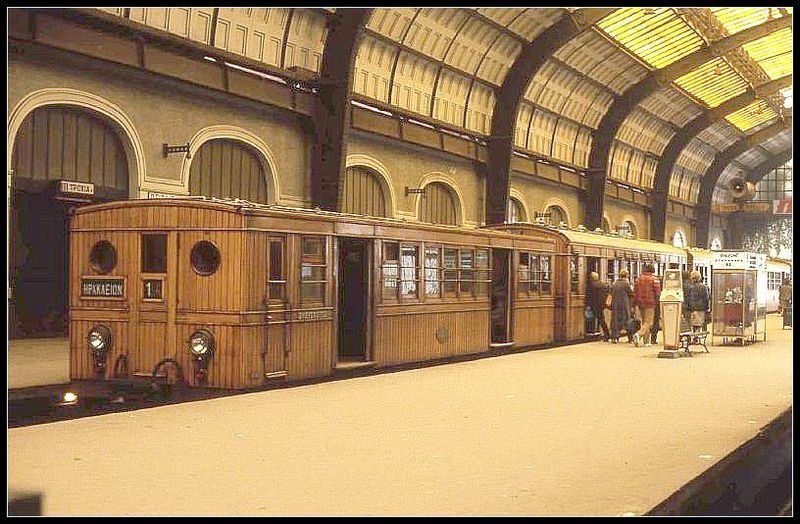 Athens–Piraeus Electric Railways: (steam operated): 27 Feb. 1869 - 1904; (electric): 1904 - 10 June 2011 (incorporated into the Athens Metro). Athens Metro: 28 Jan. 2000 - today. 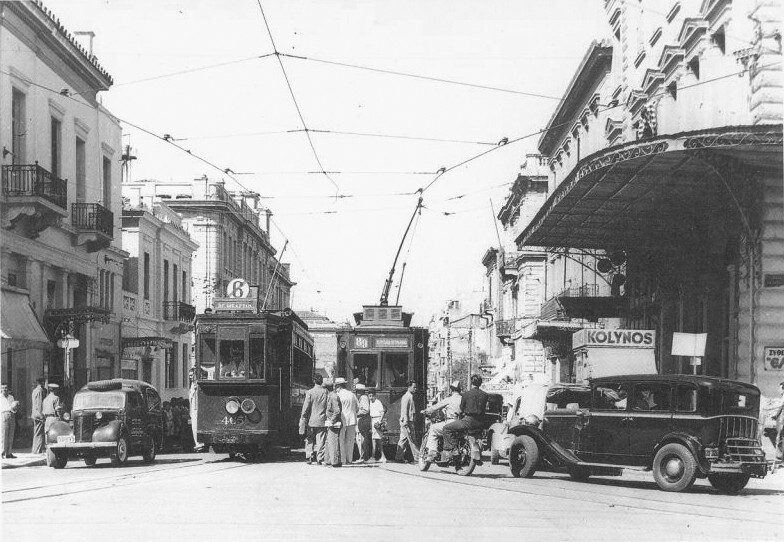 Piraeus-Perama light railway (Τραμ Περάματος): 1435 mm. 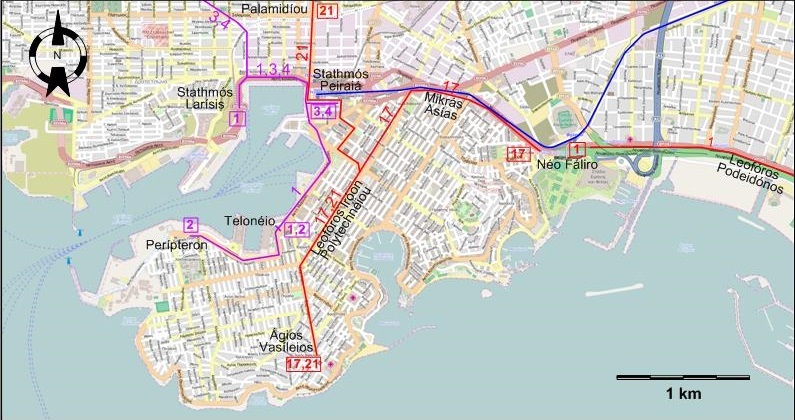 Athens–Piraeus Electric Railways: 1435 mm. 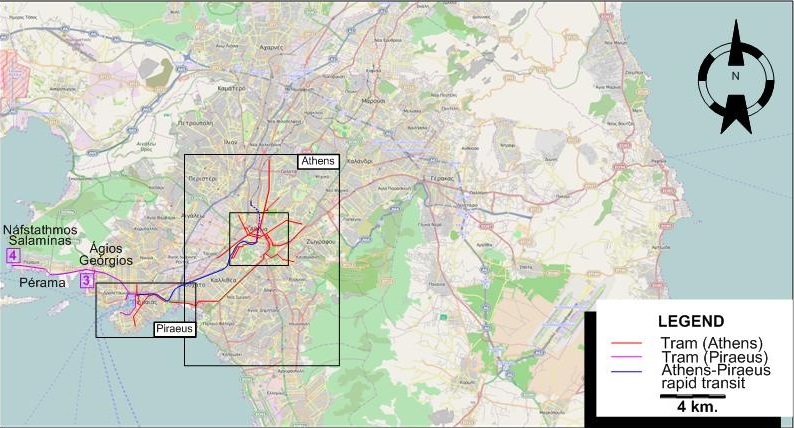 ΣΤΑΣΥ - Urban Rail Transport S.A.